Using Haml with Rails. A guide for developers using the example apps from the RailsApps project. Others may find it helpful as well. Haml is a popular alternative to the default Rails templating language (“ERB”). ERB is a templating system that embeds Ruby into an HTML document, similar to ASP, JSP and PHP. It preserves the syntax of HTML and allows Ruby code to be embedded within a pair of <% and %> delimiters. Haml eliminates the <% and %> delimiters and uses indentation to mark the beginning and end of markup so that closing tags are not required. Haml is intended for “elegant” markup, eliminating the repetitive tags of HTML and integrating conditional logic succinctly. It’s easier to read. Indentation is significant in Haml, which makes for well-structured code, but failures resulting from indentation errors are annoying when using Haml. An IDE that provides auto-indenting can make Haml easier to use (see HAML in RubyMine). If you’re working on a team, you may find designers are more comfortable with ERB as it more closely resembles familiar HTML. And Haml will break if everyone on the team is not using tabs or spaces for indentation consistently. Finally, for someone new to Rails, Haml is one more new thing to learn, which may not be welcome when there’s so much to learn already. Despite these drawbacks, I like to use Haml because it eliminates superfluous markup and makes view code much easier to read. Before you start a project with Haml, read advice from Chris Eppstein about how to use Haml. For more, see a discussion about Haml’s advantages and drawbacks, titled HAML: the unforgivable sin. With the haml-rails gem, there is no need to modify the application.rb file to accommodate Haml. Any time you generate a controller or scaffold, you’ll get Haml instead of ERB templates. And when your Rails application loads, Haml will be loaded and initialized. You’ll want to add Haml syntax highlighting to your text editor. There are several versions of TextMate bundles for Haml. The most current is the haml-textmate-bundle from Philippe Huibonhoa. TextMate bundles will work with the popular Sublime Text 2 editor as well. If you are using vim, you can install vim plugins for Haml. Paste your HTML or ERB code into a text field, click convert, and you’ll have clean Haml code, ready to paste in your app views. 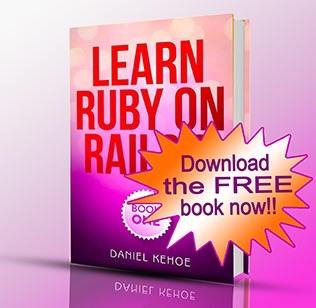 If you want to convert an entire Rails application from ERB to Haml, use the html2haml gem. You can use a shell script or write a simple Ruby script to convert a set of files. You’ll have a choice of Haml or ERB. Plus the program will give you options for a CSS front-end framework such as Twitter Bootstrap and create a default application layout using HTML5 (see the article HTML5 Boilerplate for Rails Developers). Brook Riggio wrote a helpful blog post on Haml by Default in a New Rails 3.2 App and initiated work on the rails3-haml-html5 template. Daniel Kehoe wrote this article for the RailsApps project. and tweet some praise. I’d love to know you were helped out by the article.